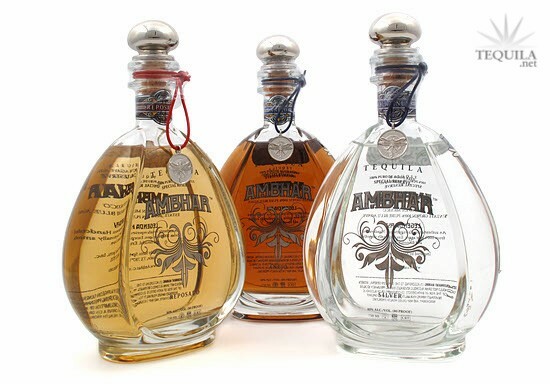 Tequila Ambhar Añejo is 100% Blue Agave from a combination of both the lowlands (Tequila region) and from the highlands. We have found that a mix of the two regions produces a tequila with the best favor characteristics. It is told that when the earth was young there was a beautiful young goddess, the beloved of the stars, named Ambhar. She fell in love with a mortal and was killed by the other gods. The stars gathered her remains and deposited them on earth as the blue agave. (This is why the Agave is shaped as a star.) This further enraged the gods, and they set the Agave afire with a bolt of lightning. When the fire ceased only the heart of the Agave remained which bled sweet nectar. The mortals collected the nectar and called it "Tequila". They presented it as an offering to the gods, who were pleased. Ambhar Tequilas were named in honor of this beautiful goddess and to give a taste of heaven and earth. Highland and Lowland Agave combined to make an enjoyable Tequila. 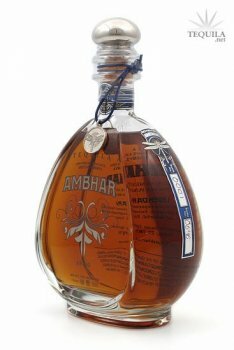 Ambhar Añejo aims to please, inside and out. A very nice and well rounded anejo in a great looking package. Aroma: Light agave, vanilla, oak and a bit of alcohol. Initial Taste: Great entry with sweetness, vanilla and a bit of fruit. Body: Medium body. The oak kicks in nicely to compliment, but not overpower, the rest of the flavors. Finish: A nice, long spicy ending for an anejo. Oak, spice and smoke linger for a nice duration. This is a premium, well crafted tequila in a great looking bottle. The only knocks would be that it has a bit of an oak taste, a slight alcohol nose and finish...and the price is fairly high at $50+. 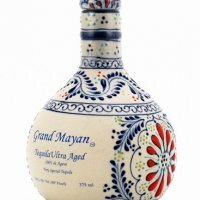 I think tequila lovers will like it...tequila newbies might find it a bit harsh. Bought a 50mL sampler of the Anejo and Reposado. Nose: slight hints of oak and vanilla, but the aroma is also a little heavy on the alcohol. Taste: Very smooth initially, Oaky and vanilla body. finish: Spice and oaken vanilla with a small amount of burn. Not too intense. Overall: well balanced and pleasurable. I wouldn't get the Reposado, the Anejo is where it's at.